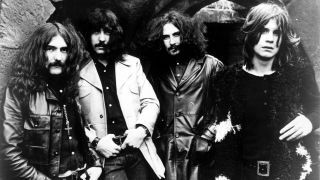 Estranged Black Sabbath drummer Bill Ward says he remains in contact with Tony Iommi and Geezer Butler – but believes he's lost the friendship of Ozzy Osbourne, and he's not sure how much he could trust the singer in future. But he says he would still be up for a return – if he felt healthy enough. Ward tells DC Heavy Metal: “I’ll always have an open mind to playing with Black Sabbath. I love the band. I miss them terribly. If we can come to some terms and we’re all okay with each other. However, Ward says there remains a “political agenda” attached to his non-appearance. He says: “I have to be careful in overstating. I’ve definitely got an open mind. Meanwhile, former Sabbath drummer Vinny Appice has admitted he’d return to the band as soon as he was invited.